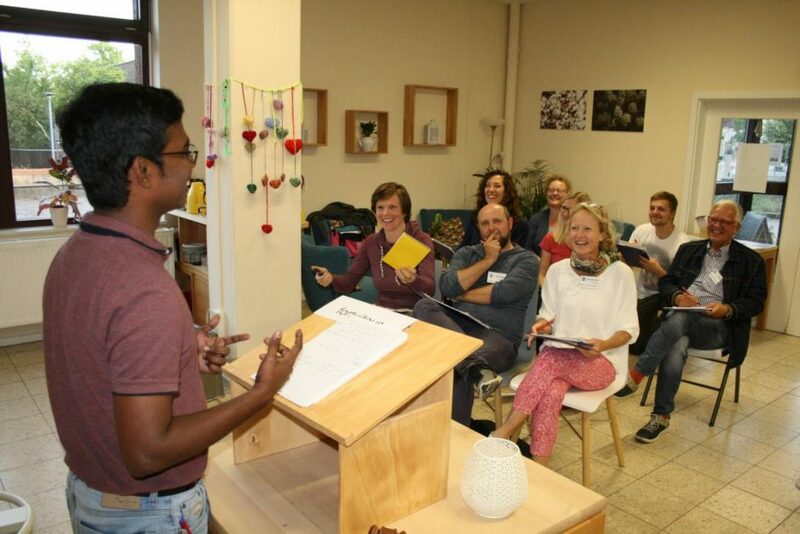 Bamberg Toastmasters meet every 2nd and 4th Monday of the month in Stadtteilzentrum Starkenfeld, Katzheimerstr. 3, 96050 Bamberg. Meetings start at 7.30 pm. It is recommended you come along at 7.15 pm so we can give you a short introduction beforehand. Parking: Free parking available right in front of the building, in the car park behind and in the surrounding streets. If you come by train, take the rear exit (Brennerstr.) and take bus no. 902 to stop Wörthstr. Then cross the big parking lot of the shopping centre to Katzheimerstr. 3. Google Maps will give you alternative bus routes. Do you have any questions? Get in contact with us. Would you like to have a look at a typical Toastmaster meeting and what to expect? Here is an official video of Toastmasters International. Erlangen Toastmasters meet every 1st and 3rd Wednesday of the month. Nuremberg Toastmasters The first Franconian Toastmasters Club, founded in 2002 meets every 1st and 3rd Monday of the month at Deutsch-Amerikanisches Institut (DAI) Nürnberg in Gleissbuehlstr. 9, 90402 Nuremberg (only 3 minutes from Nuremberg Central Station). Noris Toastmasters The second Nuremberg Toastmasters club is located at the Nachbarschaftshaus Gostenhof. They meet every 2nd and 4th Wednesday of the month. Nürnberger Rhetoriker Der erste und einzige Toastmasters-Club in ganz Franken, der seine Treffen in deutscher Sprache abhält! U-Bahn-Haltestelle in unmittelbarer Nähe des Veranstaltungsorts. Die Nürnberger Rhetoriker halten ihre Treffen jeden ersten und dritten Mittwoch im Monat ab. Auch für englischsprachige Toastmasters ein besonderes Erlebnis! Fränkly Speaking Toastmasters First bilingual and advanced Toastmasters club of the area directed at experienced Toastmasters, who have finished their CC manual or Level 3 of the Pathways Program. They meet every 2nd Saturday of the month in Nuremberg. Toastmasters Clubs in Division I This is a new website designed for the many active clubs in our Toastmasters Division I. Division I consists of clubs spread all over Bavaria. Toastmasters International The official Toastmasters homepage. Wherever you are in the world there will be a suitable Toastmasters club for you nearby.